In the Nineties the district between Karaköy Meydanı and the leafy square of Tophane was still a bemusing melee of dockland low life, schools, brothels, metal bashers, baklava shops, gun dealers and churches. As many of these 'crafts' faded, Tophane morphed into Istanbul’s artiest up-and-coming district, new private galleries and trendy cafés competing genteelly with utility shops. There was a splendid tipping point between real city and gentiltiy was reached three years ago, but the fragile balance is now being destroyed by an astonishingly insensitive waterside development. But the backstreet quarter between Karaköy Meydanı and the Kılıç Ali Pasha Mosque is still worth a wander (except on Mondays when the galleries are closed). This is only one side of the Tophane story. Inland across the tram line, Boğazkesen Caddesi leads up to Çukurcuma and Galatasary on the Pera heights, another strange assortment of artisan shops and humdrum village high street. On the shore, screened from the sea are Tophane's two important Ottoman landmarks: the Kılıç Ali Pasha Mosque and the Tophane itself, the Ottoman foundry. Also here is Istanbul's only successfully revamped Turkish bath, Kılıç Ali Pasha hamam, a genuine oasis of pure hedonism, and one of the city's finest 18th-century Hamams. Tophane is also home to serious art in the form of Istanbul Modern, the old Greek Primary School is one of the venues for the art and design bienals and a huge new Museum of Painting and Sculpture was due to open in one of the wall of warehouses lining the shore in 2016, but it seems to be dragging its feet and is nowhere near finished. High brow, low brow, street art, smart art are hard to tell apart in Tophane. This is a place to steam (literally), a place to chill, and soon a place to remember. Enjoy it while you can. Property sharks are circling. Right now it’s all-absorbing. 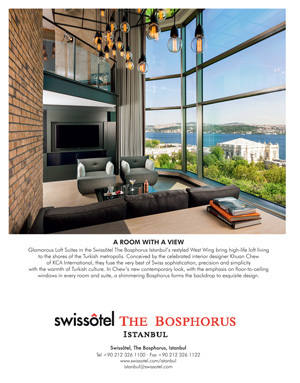 Tophane takes its name from the Tophane, the Ottoman cannon foundry, whose domes and tiny turrets are an unmistakable landmark over this section of the Bosphorus shore and the Tophane tram stop. These days it is an art space with exhibitions staged by the Mimar Sinan Fine Arts University, the former Istanbul Academy of Fine Arts, housed nearby in what was briefly the first Ottoman parliament building. As important as the arsenal is Sinan’s newly restored 16th-century Kılıç Ali Mosque and Hamam – commissioned by a Calabrian-born Ottoman admiral. Another important landmark at the Tophane crossroads is the splendid 1730s marble drinking fountain built by Mahmud I, and the last vestige of the parade ground that once stood here, a brilliant bluey-green sultan’s parade kiosk that now stands in front of a sprawl of nargile, or hubble-bubble, shops. These in turn conceal Tophane’s key museum, Istanbul Modern, the entrance of which is just beyond the theatrical Nusretiye Camii – for scholars of Ottoman architecture the perfect antithesis to the Kılıç Ali Pasha. Galleries are spread between the Tophane end of Kemankeş, the cluster of parallel streets between the Kılıç Ali Pasha Hamam and the Galata Bridge, and Boğazkesen Caddesi, the street which leads up to Beyoğlu. Tophane tramstop. A reasonably stiff downhill walks from İstiklâl Caddesi (Tünel or Galatasaray), via Kumbaracı Yokuşu, and from Karaköy, but from Kabataş, be sure to use the tram, Kabataş is the new hub that Tophane used to be. 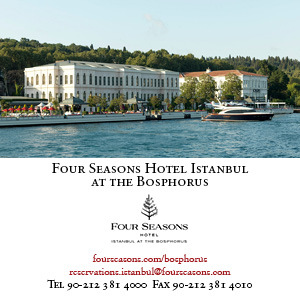 The connects the area effortlessly with Sultanahmet and the bazaars of the Old City at one end and the funicular to Taksim and the boat stations to ‘the other side’ and the Princes Islands. There are three Tophanes: Upper Tophane is draped around the lower slopes of Beyoğlu, divided by narrow lanes that climb the hill to İstiklâl Caddesi and to Cihangir. Lower Tophane is the huddle of streets around the northern end of the Galata Docks (and overlaps with Karaköy). And then there is Istanbul Modern, which occupies one of the dockland warehouses.